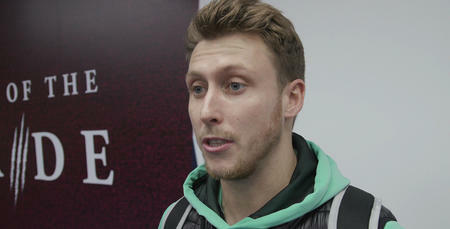 LUKE Freeman believes QPR’s late salvo at Rotherham on Tuesday night shows how far the QPR squad have come under Steve McClaren this season. The talented midfielder, who signed a contract extension keeping him at the club until 2021 this week, netted a stunning diving header in injury time to secure a 2-2 draw at the New York Stadium. After earlier chances from Pawel Wszolek and Tomer Hemed had been missed, Ebere Eze and then Freeman saw goalbound efforts brilliantly saved by Marek Rodak before the former Bristol City man finally got the better of him in the 91st minute. 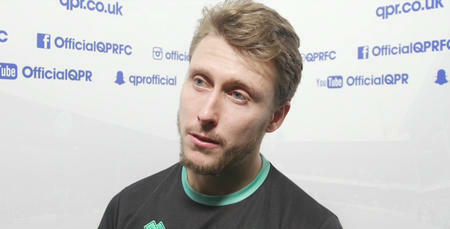 “We pilled the pressure on at the end and their keeper made two really good saves,” Freeman told www.qpr.co.uk afterwards. “We felt the goal was coming and we were aware that they have conceded a lot of goals in the last ten minutes of games so we knew what we needed to do – we had to get numbers in the box. Despite Rangers having to twice come from behind against the Millers, Freeman admits the R’s players felt they could have won the game in south Yorkshire. “It could have gone either way but when you look at it, the chances we created, the manner of the goals we conceded, we really could have taken the three points,” he said. “But last year we probably would have lost this game so it shows how far we’ve come, so we take the point and move on to Saturday’s game at home to Hull. “We have come on so much and we feel like we have got so much more in us too. We feel like we have got so much more in us.